He named his boat 'ruth'. We'll cross the steam by boat. They boated us across the bay. Let's go to boat on the lake. Tags: boat meaning in hindi, boat ka matalab hindi me, hindi meaning of boat, boat meaning dictionary. boat in hindi. 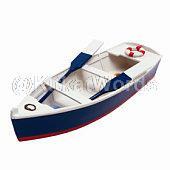 Translation and meaning of boat in English hindi dictionary. Provided by KitkatWords.com: a free online English hindi picture dictionary.